ILOCOS NORTE GOV. Imee Marcos has ordered the preemptive evacuation of residents particularly ‘vulnerable’ women from areas threatened by heavy rains and strong winds packed by Typhoon Ompong. In an interview over DZRH with anchor Deo Macalma, she said those evacuated were mostly senior citizens, disabled, hospital patients, pregnant and nursing mothers, as well as children, who were gathered in town and barangay halls and in churches safe from the dangers posed by bodies of water. The preemptive evacuation of vulnerable women, according to Gov. Imee, are residents in low-lying areas near bodies of water in the towns of Pasuquin, Pagudpud, Batac, and Dingras. The governor has suspended classes and work in the province today and told her constituents to help in the harvest of palay and vegetables that could be saved from the coming typhoon and also reinforce their houses, farms, and other community structures that the typhoon threatens. When asked how the weather is in the province this morning, Ms. Marcos said in jest,”it is as if the weather is playing tricks on us as it is hot everywhere and no sign of a brewing storm”. Gov. 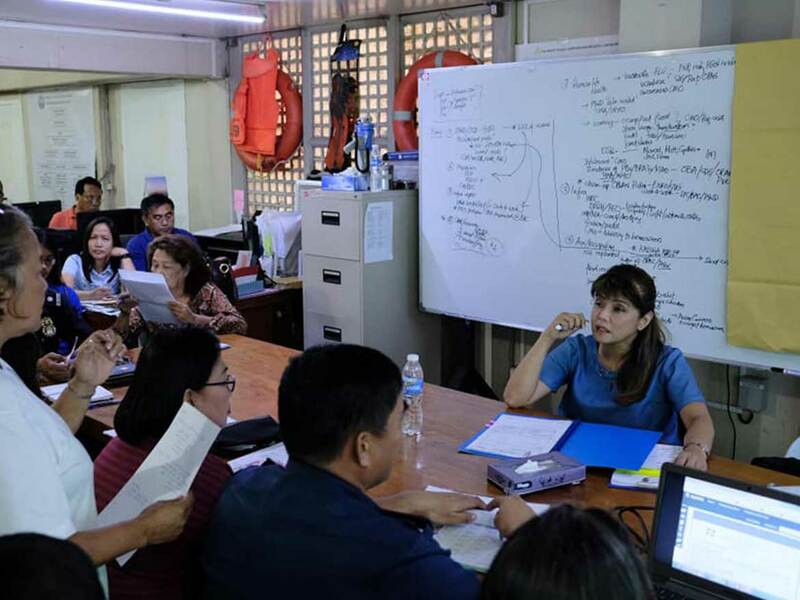 Imee also ordered the pre-positioning of food stocks and relief goods that could last for four days and can be distributed immediately to affected areas in case the typhoon slams the province. “Pero hindi lang mga tao ang may evacuation centers, kinukuha rin namin ang kanilang mga hayop at may sarili silang shelter, pagkain at inumin”, she added. She directed the SK or Sangguniang Kabataan in barangays to act as information posts that will relay important and urgent messages between officials and residents. Gov. Marcos called on Ilocanos to pray hard that heavy rains and strong winds spare the province as Ilocos Norte is still reeling from the destructive effects left by ‘habagat’ and previous typhoons.